As you may have already noticed, when it comes to finding a YouTube downloader for windows, there are several options available online. And besides having multiple options in terms of developers, you also have different methods of actually downloading the files. YouTubNow is the best YouTube Downloader for Windows no matter if we’re talking online services, third-party apps or browser extensions. The accessibility and functionality offered by YouTubNow can’t be matched by any of the solutions included in this article. First of all, it’s absolutely free to use and, unlike many other online free YouTube downloader for Windows, it doesn’t display any ads or commercial content. YouTubNow gives you the possibility of choosing from multiple formats both audio or video, and quality settings so that the content you download is 100% according to your desire. Another standout feature of YouTubNow is the fast and accurate search function that enables you to immediately find the desired YouTube content. Use YouTubNow on all your devices to download high-quality YouTube content quickly and securely. If you’re looking for a service that offers fast conversion of YouTube videos to MP3, YTMP3 is the one for you. Even though it doesn’t offer as many formats to choose from, YTMP3 only offering MP3 or MP4, it is a reliable online service. If you want to use this YouTube downloader of PC Windows, you also need to know that there’s a maximum video length of 2 hours that it can handle for downloading. This maximum video length is just for your information since most of the YouTube videos don’t go over 5 minutes. So, there you go, yet another great download service that you can access online for free. Another YouTube downloader for Windows that can be accessed directly in browser is Conver2MP3. Just like YouTubeNow, Conver2MP3 offers users the possibility to select from different formats, however, it doesn’t have as many options. Also, even though it’s quite intuitive, the interface of Conver2MP3 could use some improvements to make the process even easier for users. You can either copy the URL from YouTube and insert it in the box or search for the desired content right on the website. It’s a great advantage to be able to download content from YouTube without installing any software. Conver2MP3 can be accessed from any device as long as you have an internet connection. The files you download are not big so you won’t have to worry about drive space either. A simple but efficient YouTube downloader free download for Windows, MP3YouTube gives its users the option to paste the YouTube URL directly and convert it to MP3. You won’t have to worry about selecting different formats or qualities, simply copy the link and you’re good to go. Of course, for those of you that prefer more options in terms of quality or that want to download YouTube content as video, you might need another tool, such as YouTubNow. Another downside for MP3YouTube is the fact that it doesn’t offer a built-in search functions in case you don’t have the URL for conversion. Even so, getting the YouTube link only takes a few seconds and after that the conversion is very fast. After downloading you will be able to open the files or view them in the folder where they were saved. If you ever asked yourself how to download YouTube videos on Windows without downloading any software or app for it, MP3Converter is the answer. This online YouTube converter allows you to convert YouTube content into audio or video and save the file on your computer. There’s no mentioning that it can also be used from mobile devices, however, it does come with a lot of different formats you can choose from. Being able to download YouTube content on the phone is a great advantage. It spares you from doing another transfer from the computer to the phone if you want to have them available on the go. 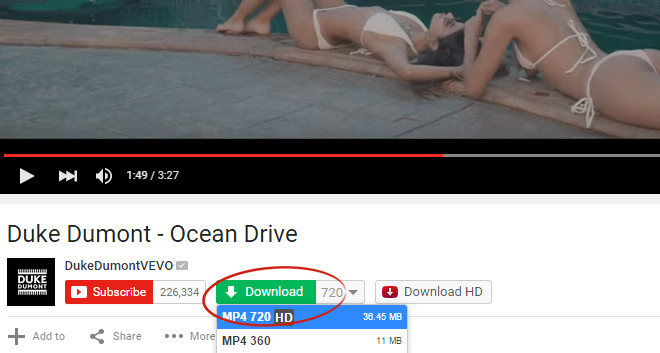 Even so, MP3Converter is a great online YouTube downloader. If you think a standalone app for your Windows computer gives better results, you can definitely try the DVDVideoSoft software. It offers you exact the same features as YouTubNow online service does but with the extra step of downloading and installing the software. You can download YouTube in audio and video format, download playlists and even convert YouTube directly to iTunes. You also have the possibility to choose the desired quality and the destination folder. That’s something that’s not available on online downloaders and it can prove very useful for new users. Another free YouTube downloader for Windows that comes as an app to download and install on your computer. FreeMake offers users a lot of flexibility and features. As all the standalone apps in its category, it has the downside of not being able for mobile users, however, the wide number of formats and quality settings make it a good choice. The installation package is small in size and you can download it right away. After the download is ready, install the program and start using it to convert all your favorite YouTube content. There are a lot of different settings you can make to get the files you want. Short for Any Video Converter, AVC is a complete software that will transform YouTube videos into downloadable files that can be stored on your computer. You can choose from formats such as MP4, MPeg, WMV, 3GP, WEBM and many more and also tweak the quality of your final file. AVC is available for free download and it’s compatible with both Windows and iOS. AVC also offers you the option to convert video files between different formats. So, if you want an all-in-one tool you should download AVC and start taking advantage of its features. A Chrome extension that acts as a free YouTube downloader for Windows. Savefrom.net is extremely easy to use. You just need to add the extension to Chrome and then you will get a download button on YouTube as well as many other media-streaming services. It’s protected by Norton Antivirus and it’s quite popular on the web for those that prefer to convert YouTube content this way. It’s extremely easy to add it to Chrome or remove it if you don’t want to use it anymore. An option for the ones that are more tech-savvy, YouTube-dl is basically a command-line program that allows you to download video from YouTube. It works perfectly on Windows and it’s extremely customizable due to its open source nature. Users that are not necessarily good at coding can always stick to YouTubNow, of course. However, if you want to feel like a hacker, you can give it a shot. It’s very intriguing and it offers you the possibility to really understand how a YouTube downloader works behind the interface. This is a YouTube downloader that was designed for accessibility and flexibility while making sure you don’t need to handle any kind of redirects. Just like our previous choice, once added on Chrome it will activate a Download button on YouTube so that you can easily save and store your favorite content. You won’t have to restart Chrome after you add this extension. Just refresh the YouTube tab and you will see the Download button showing up. The extension can be disabled for when you don’t want to download or convert files. Then, you can enable it just as easy. Developed by FVD Media, this is a very popular YouTube downloader for Windows that you can use with Firefox to get all your desired content. You can download in MP3 or MP4 with a resolution of 4K, Full HD. Once you add the extension you will have a Download button available to download your content fast and easy. There are a lot of formats to choose from and you can also generate a preview of the downloaded file. Flash Video Downloader is absolutely free and you just have to add it to Firefox to use it. Offering one of the easiest ways to convert and download videos from YouTube and other websites, this extension provides you with everything needed. You can surf the web and choose which videos to save and download as audio files, including entire YouTube playlists and many different files. 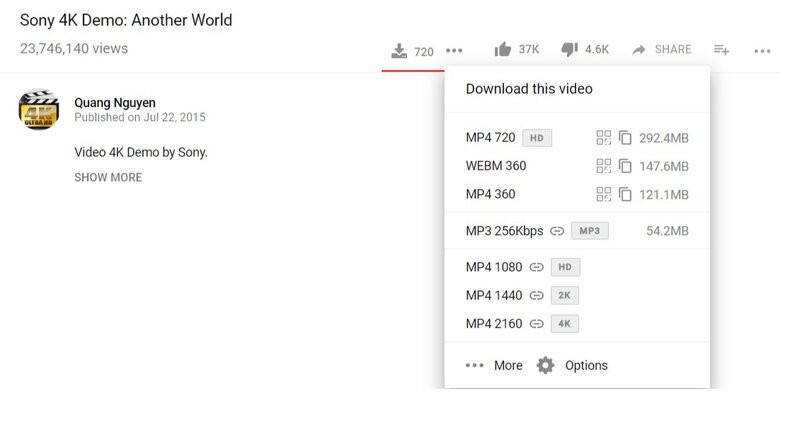 You can now export an entire YouTube playlist on your phone or computer to have it available offline. The downloaded files are stored on your computer in the Downloads folder for easy access. You can use this extension knowing that is approved by Firefox browser. Using this Firefox extension you will get instant access to one of the best free YouTube downloader for Windows. In just a few clicks you will be able to download all your favorite YouTube videos for free and in a wide range of formats and quality settings. So, you first need to find the video you want to download. Then add this extension to your browser and after refreshing the page click on download. Then, make sure to select the format and quality and you will have the YouTube content on your computer in no time. 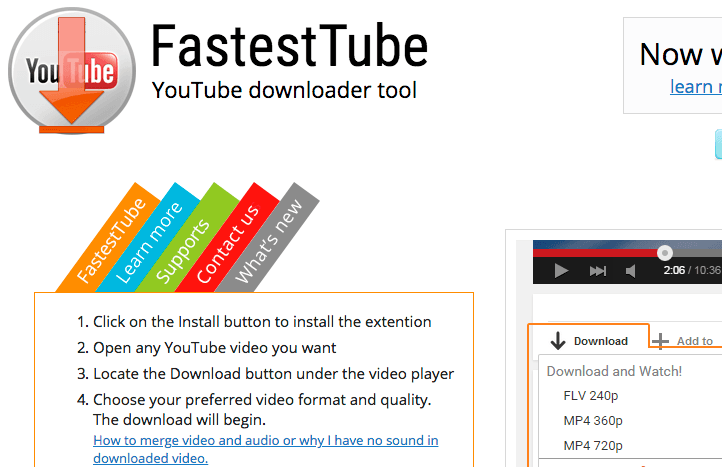 Fast and effective YouTube downloader through a Firefox extension. 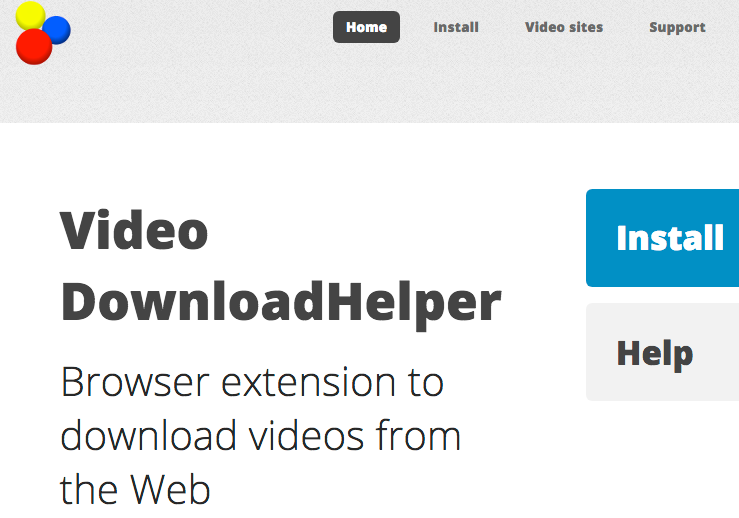 Just like the name says, DownloadHelper is an extension for Safari that enables you to download videos from YouTube as well as other streaming websites. It takes a few seconds to add the extension on Safari and use it to download your favorite YouTube content and it’s also free to use without limitations. 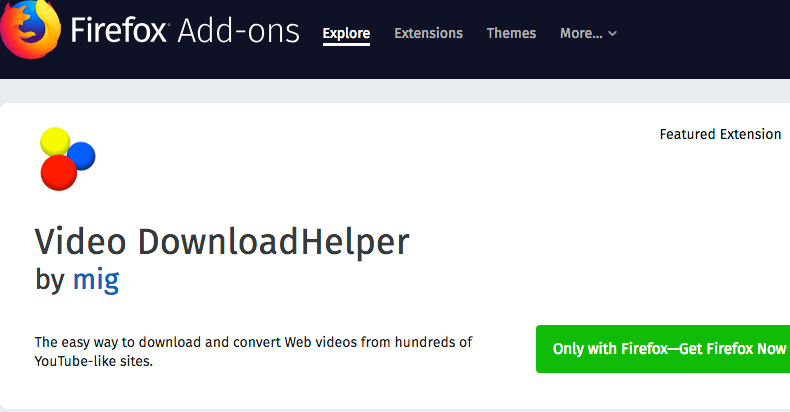 Even though Safari is know to be one of the more restrictive browsers when it comes to extendions and add-ons, DownloadHelper work great with the browser. Download any type of content and choose your favorite format. Different quality is also supported, however, your final video size may differ. A Safari extension that transforms your browser into a single-click downloading unit from multiple streaming websites such as YouTube. You can choose the preferred format and quality and store the files on your computer for offline use. Once you have downloaded the desired YouTube content, you can use a sync tool to transfer your files on the phone. Also, you can share the downloaded files with your friends and family. An excellent YouTube downloader extension for Safari. Another excellent extension for Chrome, FastestTube allows you to quickly download any YouTube video and save it as audio or video. You can select your preferences from a drop-down list and just hit download for the conversion to start. Once the process is complete you can access the file and enjoy your favorite music. If you need to transfer the file, you can do so via email or a special sharing tool. If you want to sync it on multiple devices, there are several options for that as well. One thing is certain, you’ll never run out of good music to listen to. Flexibility in choosing the audio / video quality and format. The ability to pause and resume the download if needed. The ability to download entire playlists or YouTube channels. Ability to download Private YouTube content. After going through all the above YouTube downloaders in their various forms of use, we recommend YouTubNow as the best free YouTube downloader for Windows. Taking into consideration that it can be used from any device, including mobile, without installing or adding any extensions. Just access the YouTubNow website, search for your preferred content and choose from a wide number of formats and quality settings to get any YouTube video on the web.